Asthma sufferers are being urged to take control of their condition, rather than just seeking to relieve the symptoms during a flare-up. That's the advice issued by Allergy UK, which has found that around three-quarters of 464 people who believe their asthma to be mild or moderate have used up to four reliever inhalers each month. But the charity says that asthma sufferers needn't even require one inhaler a month if their condition is under control. Though asthma sufferers still need to ensure they have their medication to hand, especially when away from home on an overseas holiday, when it is important to remember to pack inhalers, medication and asthma travel insurance documents. 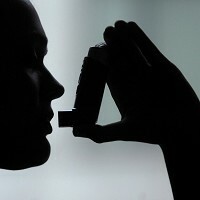 By not ensuring their condition is well controlled, many asthma sufferers are putting themselves at risk, with one in seven (15%) of mild or moderate sufferers admitting they had to visit the emergency department over the past 12 months due to their asthma. Means to relieve the symptoms include being prescribed oral steroids - with half saying they had used this course of action in the past year. However, Allergy UK says this indicates that a person's asthma is not under control and oral steroids should only be used in an emergency situation, or in the most severe asthma cases. Deputy chief executive Lindsey McManus highlights how the disease can have potentially fatal consequences. "Three people die of it every day in the UK," she adds. Ms McManus describes the survey findings as "shocking", saying the charity's helpline hears numerous stories of how sufferers merely try to alleviate symptoms rather than take precautions to treat the inflammation to get their asthma under control. "They just don't realise they are putting themselves in danger and could soon find themselves in A&E," she warns.